Work At Home Success is part of Moxie Vie Media, LLC. By using any features of Work-At-Home Success, you signify your acceptance of the terms outlined in the Privacy and Dislcosure/Dislcaimer Policy outlined below, and WAHS Terms of Service. If you do not agree to these policies, please do not use Work-At-Home Success. Your continued use of Work-At-Home Success constitutes your acceptance of these policies. These policies may change and its your responsibility to keep abreast of any changes. Work-At-Home Success is an information and resource site. It makes no guarantees that users will find a work-at-home job or home business. 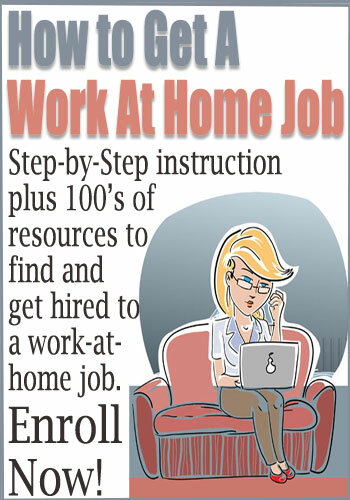 Note, Work At Home Success Sites do not sell your information. Data is used to deliver information to you, or to help us know what information and resources visitors and subscribers enjoy most. Data can also be used to maintain the site and keep it secure. Work At Home Success may collect personal information such as your name and email, that you’ve voluntarily submitted, such as when you leave a comment, use a contact form, or subscribe to the newsletter. Work At Home Success may receive information from others, such as third-party services that may transfer information to us for fulfillment (i.e. when you make a payment for a Work At Home Success provided product or service). Work At Home Success automatically collects certain information about you and the device you use to access the website, such as your IP address, operating system type, browser type, referring website, pages you visit, and dates/times you accessed the site. This information is gathered to help Work At Home Success understand how people find and use the site. Work At Home Success may log information using cookies, which are small data files stored on your browser by the website. We may use session cookies, which expire when you close your browser. We may also use persistent cookies, which stay until deleted, and are used to give you a personalized experience on the website. may track opens and clicks from the email you voluntarily opted in to receive. This data is used to help me understand what readers want most. Work At Home Success may share your information with third parties when you explicitly authorize us to share it. WordPress – this platform is used to publish the site. If you choose to leave a comment on a blog post, your name, email address, and IP address is stored on the website. Collecting this data helps protect the site from bots and spammers. Survey Monkey – this service is used to conduct reader surveys or collect feedback. Survey Monkey may capture your name and email address. Aweber– this service is used for delivery of email updates and newsletters. We store your name and email address for purposes of delivering such communications. We also track opens and clicks to help us better understand what information you like so we can deliver more of it. HelloBar: This service allows visitors to sign up for our email list through Aweber. PayPal: Some WAHS products, services, and ad buys are paid through PayPal, which sends name, email, and product/service information to WAHS. Bank and other payment options (i.e. credit card numbers) are NOT provided to WAHS. ClickBanks: Some WAHS products, services, and ad buys are paid through PayPal, which sends name, email, and product/service information to WAHS. Bank and other payment options (i.e. credit card numbers) are NOT provided to WAHS. 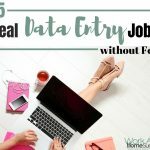 Work At Home Success only collects the personal information you voluntarily provide, which may include, but is not limited to, your name, email address, and home address. The information you provide is used to process transactions, send periodic emails, and improve the service Work At Home Success provides. 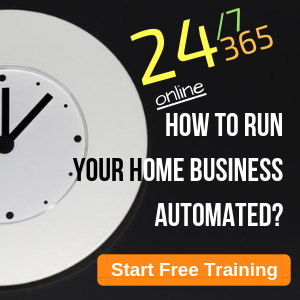 Work At Home Success does share your information with trusted third parties who assist her in operating her Sites, conducting business and servicing clients and visitors. These trusted third parties agree to keep this information confidential. Your personal information will never be shared with or sold to unrelated third parties. It may be necessary − by law, legal process, litigation, and/or requests from public and governmental authorities within or outside your country of residence − for Work At Home Success to disclose your personal information. Work At Home Success may record information relating to your use of the Sites, such as the searches you undertake, the pages you view, your browser type, IP address, requested URL, referring URL, and timestamp information. Work At Home Success uses this type of information to administer these Sites and provide the highest possible level of service to you. Work At Home Success also uses this information in the aggregate to perform statistical analyses of user behavior and characteristics in order to measure interest in and use of the various areas of the Sites. Work At Home Success Sites may send cookies to your computer in order to uniquely identify your browser and improve the quality of her service. The term “cookies” refers to small pieces of information that a website sends to your computer’s hard drive while you are viewing the Sites. Work At Home Success Sites may use both session cookies (which expire once you close your browser) and persistent cookies (which stay on your computer until you delete them). You have the ability to accept or decline cookies using your web browser settings. If you choose to disable cookies, some areas of Work At Home Success’ Sites may not work properly or at all. Work At Home Success Sites do not respond to “Do Not Track” signals sent by your browser. Work-At-Home Success offers opportunities to share information, find support, and communicate with other WAHS visitors. Please note that anything you post in the comments at Work At Home Success can be made public. 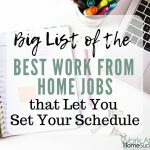 Work-At-Home Success maintains a policy that no harvesting of email for the purpose of advertising is allowed however, Work-At-Home Success has very little control over the information you post in this forum. Profile options are available but may not adequately protect your information. Work-At-Home Success cannot be responsible for information you or others post or use in this forum. Advertising and other products by Work At Home Success Sites ordered from Work-At-Home Success are handled by a third-party vendor, ClickBank, PayPal, or Stripe using secure servers. Work-At-Home Success does NOT receive your payment information from ClickBank or PayPal or Stripe. Work-At-Home Success receives notice of your order, your order number, your name, and email. Ad Payments: Once you have made your ad payment, your ad information is submitted through a Work-At-Home Success form. Any information provided in these forms is sent to Work-At-Home Success and stored as a receipt as well as to post the ad as agreed. This information is NOT shared with any third party. Product Purchases: Digital products (i.e. summits access, courses etc) purchased directly through Work At Home Success Sits are delivered immediately to the email provided in your order form. Work At Home Success receives a notice of the purchase. In some cases, your email may be added to an email list to continue to deliver your order or updates. You can always unsubscribe from this email using the unsubscribe link in the email or contacting success @ workathomesuccess.com. Product Purchases through a Third-Party: Products bought through Amazon or another third-party retail sites have their own policies in regard to privacy. Work At Home Success is not responsible for the privacy policies or practices of third parties. Note that these third-party vendors do not provide Work At Home Success with your payment information. In some cases, they may share your name and/or email. If you have questions about this, please contact the vendor. On occasion, Work-At-Home Success asks for information from its visitors to help make changes or improvements to the site. This may come in the form of an email or through a third-party such as SurveyMonkey. This information is used solely for the purpose given in the feedback form. Personal information is not sold or shared with third-parties. Work At Home Success maintains security measures to protect your personal information from unauthorized access, misuse, or disclosure. However, no exchange of data over the Internet can be guaranteed as 100% secure. While Work At Home Success makes every effort to protect your personal information shared with her through her Sites, you acknowledge that the personal information you voluntarily share with Work At Home Success through its Sites could be accessed or tampered with by a third party. You agree that Work At Home Success is not responsible for any intercepted information shared through her Sites without her knowledge or permission. Additionally, you release Work At Home Success from any and all claims arising out of or related to the use of such intercepted information in any unauthorized manner. Opt-out – You may opt-out of future email communications by following the unsubscribe links in our emails. You may also notify us at success @ work-at-home success.com to be removed from our mailing list. Access – You may access the personal information we have about you by submitting a request to success @ work-at-home success.com. Amend – You may contact us at success @ work-at-home success.com to amend or update your personal information. Forget – In certain situations, you may request that we erase or forget your personal data. To do so, please submit a request to success @ work-at-home success.com. Work-At-Home Success (also referred to as WAHS) is a free resource that is supported through advertising and affiliate programs. WAHS accepts forms of cash advertising, sponsorship, paid link insertions, and/or other forms of compensation. The compensation received may influence the advertising content, topics, or posts made on this blog. Work-At-Home Success also offers resources in the form of ads, reviews, or recommendations that may provide compensation for referrals. These reviews and recommendations are on products or service that WAHS has tested or used. Occasionally WAHS receives free items or services for review purposes. The views and opinions expressed on WAHS are purely the bloggers’ own. Any product claim, statistic, quote or other representation about a product or service should be verified with the manufacturer, provider or party in question. Reviews are always WAHS’s opinion of the product and the post will indicate if the product/service was received for free. 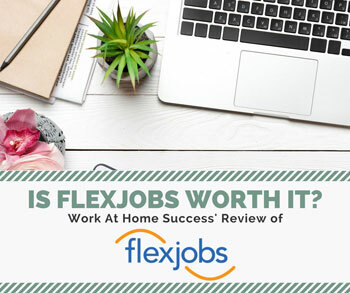 Work-At-Home Success is participant in the Amazon Services LLC Associates Program, an affiliate advertising program designed to provide a means for sites to earn advertising fees by advertising and linking to Amazon.com. Work-At-Home Success uses affiliate links on this website. What this means is if you choose to make a purchase or sign up for certain programs, I will earn a commission. 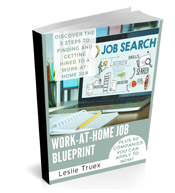 Some companies Work-At-Home Success is affiliated with are FlexJobs, Aweber, ClickFunnels, Ebates.. While this list is not extensive, note, we only promote advertising from companies we trust and feel we can legitimately recommend to our readers. Work At Home Success engages in affiliate marketing, which is done by embedding tracking links into the Website. If you click on a link for an affiliate partnership, a cookie will be placed on your browser to track any sales for purposes of commissions. 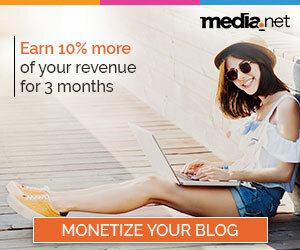 The Work At Home Success is a participant in the Amazon Services LLC Associates Program, an affiliate advertising program designed to provide a means for sites to earn advertising fees by advertising and links to Amazon.com. As part of this Amazon Associates program, the Website will post customized links, provided by Amazon, to track the referrals to their website. This program utilizes cookies to track visits for the purposes of assigning commission on these sales. On the Work At Home Success Sites, you may subscribe to our newsletter, which may be used for advertising purposes. All newsletters sent may contain tracking pixels. The pixel is embedded in emails and allows an analysis of the success of online marketing campaigns. Because of these tracking pixels, we may see if and when you open an email and which links within the email you click. Also, this allows the Website to adapt the content of future newsletters to the interests of the user. This behavior will not be passed on to third parties. If there are any questions regarding this disclosure policy, you may contact us using the information below. Work-At-Home Success accepts advertising from legitimate resources, and it works to screen such ads to insure their safety (see Ad Policy). Work-At-Home Success also uses advertising feeds. While every effort is made to insure the quality of the ads, its impossible to screen every single one. For that reason Work-At-Home Success cannot make any guarantees to the offers that are run through 3rd party resources. It’s highly recommended that you fully research working at home and how to avoid scams. While its okay to pay money for educational/informational products, legitimate business opportunities, and for services (job databases, web site hosting, etc), you should never, ever pay money to get hired. 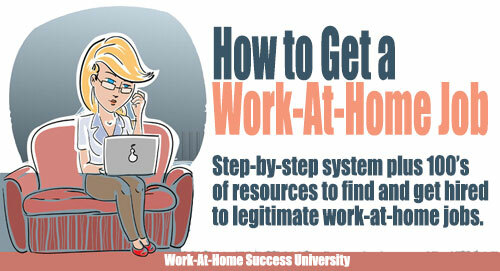 Access to Work-At-Home Success is provided on an “as is” basis. Information provided on Work-At-Home Success is believed to be reliable when posted; however, Work-At-Home Success does not guarantee the quality, accuracy, completeness or timeliness of the information provided. The owner of Work-At-Home Success assumes no obligation to update the information or advise on further developments concerning topics mentioned. Information may be changed at any time without notice. The information on Work-At-Home Success, including but not limited to ezines, articles, forum postings, Mentor Profiles, opinions and views, is provided for educational and informational purposes only. It not intended to provide legal, accounting or tax advice and should not be relied upon in that respect. You should not act or rely on any information at Work-At-Home Success without seeking the advice of a professional. The owner of Work-At-Home Success disclaims all warranties, representations and conditions regarding use of Work-At-Home Success or the information provided, including all implied warranties of merchantability, fitness for a particular purpose, non-infringement, whether express or implied, or arising from a course of dealing, usage or trade practice. Work-At-Home Success contains links to other sites as means of providing information and resources that may be of interest to the user. The mention of another party or its product or service on Work-At-Home Success should not be construed as an endorsement of that party or its product or service. A link to another site should does not imply that Work-At-Home Success is affiliated or associated with that party or its product or services. (4) users may use Work-At-Home Success where noted and appropriate to advertise, sell products or services to others and to purchase, trade or barter upon the same at their own risk. Work-At-Home Success claims no responsibility for the content of any material posted by users or the transactions between users; however Work-At-Home Success reserves the right at its sole discretion to (a) edit or delete any posts, information or other material submitted to or appearing on this site, (b) refuse access to Work-At-Home Success to any user who violates this agreement and (c) refuse advertising of any material that violates this agreement or that Work-At-Home Success decides in not appropriate. The owner of Work-At-Home Success is not responsible for any direct, indirect, special, incidental, consequential or any other damages whatsoever and howsoever caused, arising out of or in connection with the use of Work-At-Home Success or in reliance on the information available on Work-At-Home Success, including any loss of use, lost data, lost business profits, business interruption, personal injury, or any other pecuniary loss, whether in an action of contract, negligence or other tort action, even if the owner of Work-At-Home Success has been informed of the possibility thereof. The owner of Work-At-Home Success is not responsible for the content provided by members of the Work-At-Home Success forum, home business owners, advertisers, or the outcome of employer/home business owner and job/home business seeker negotiations. It is the user’s responsibility to research and screen prospects. The information, layout, design, graphics, source code and scripts on all pages of Work-At-Home Success and its ezine are copyrighted to Work-At-Home Success unless otherwise indicated. Users of Work-At-Home Success are granted a limited license to use (display or print) the information contained on Work-At-Home Success for their own personal, non-commercial use only, provided the information is not modified and copyright information is attached. Any other use of the Information is prohibited. 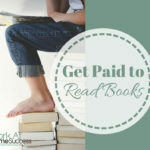 Work-At-Home Success does allow the posting of its name, URL, the Jobs At Home book graphic, and articles for the purpose of providing resource information (such as other sites that would like to link to Work-At-Home Success), affiliate advertising, and promotion. Use of such material must include copyright information as indicated in its use policy. Information provided by third parties is copyrighted by that third party unless otherwise indicated. Work-At-Home Success allows the posting of information from people who work-at-home and are willing to share their expertise. Information submitted through the Mentor program or business idea feature will be posted to the website if deemed appropriate including your name and contact information as provided in the form unless you specify otherwise. Visitor or subscriber information is NOT provided to the work-at-home experts who choose to share their information on the website. 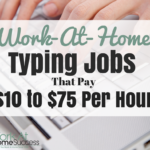 Work-At-Home Success provides this option as another way to share resources and information. However, Work-At-Home Success is not responsible for the actions or policies of the Mentors or other experts. Work-At-Home Success provides information and resources through affiliate programs and external links outside of Work-At-Home Success. Work-At-Home Success cannot be responsible for content, privacy policies, or actions of these other web sites. Work-At-Home Success is committed to helping small and home based businesses by offering affordable advertising on the website and ezine. However, Work-At-Home Success does reserve the right to refuse and refund advertising and fees. Ads that will not be accepted include those that involve traditional “scam” programs such as envelope stuffing and assembly work. Other ads that will be refused include jobs that require fees (it is understood that business opportunities involve fees but not jobs), programs with a history of complaints on consumer protection sites, or other programs that WAHS feels are in contradiction to legitimate work-at-home opportunities. Further, Work-At-Home Success will not send ads that suggest that WAHS is sending or endorsing the ad program. WAHS asks that you don’t send ads like this or understand that your ad will be edited to remove any wording that suggests WAHS is sending or otherwise endorsing the ad.